I shared this picture, along with the easy instructions on the Facebook page recently; but I felt the need to share again in an actual post. These help to make our mornings a little easier. It's a very simple and healthy breakfast and I love the fact that I can prepare something nourishing for my family in such little time. Heck, I could even bring along the ingredients to work with me and have one for lunch if I wanted. I didn't have any individual sized ramekins; while mine is still pretty small, you can certainly make this using only one egg and thus decrease your cooking time to only one minute total. 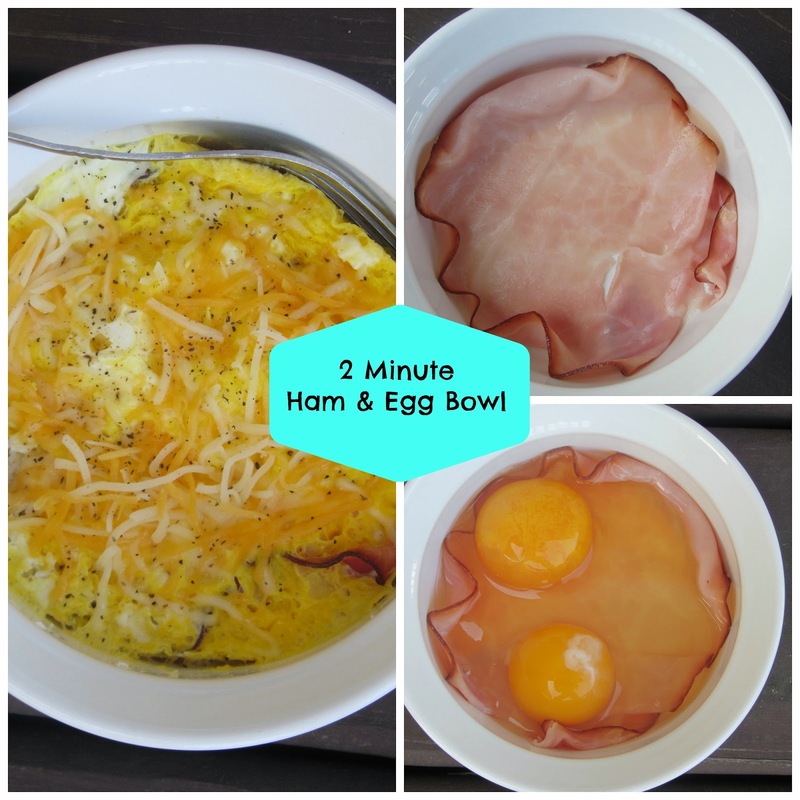 No matter how rushed your mornings are, I think everyone can take two minutes and enjoy a dish of these ham and eggs. You'll have a great start to your morning and feel full for hours. Place ham in bottom of a small ramekin. Add eggs on top, do not stir. Microwave for 45 seconds. Remove from microwave and stir. Place back in microwave and cook for an additional 45 seconds. Season with salt, pepper and sprinkle cheese on top if desired. Enjoy! Coming up on the blog later this week: a new Freezer Friday recipe and a review of the new 100 Days of Real Food cookbook including a recipe straight from the book! Stay tuned!